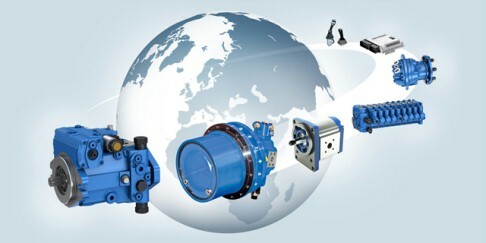 Bosch Rexroth is your competent service partner for all mobile hydraulics. We offer maximum quality regarding all service issues from help desk, original spare parts and repairs to field service during the entire life cycle of your application. Of course, that applies to the former brands Brueninghaus Hydromatik, Lohmann & Stolterfoht and Mannesmann Rexroth, which are now united under the Rexroth brand.